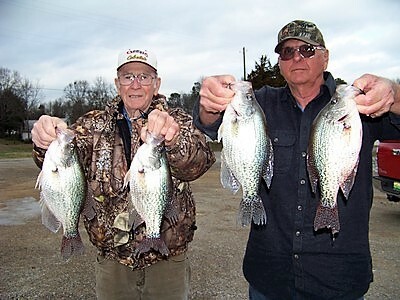 Crappie anglers from several states will travel to Lake Logan Martin to participate in the two-day Crappie USA (CUSA) Tournament Trail presented by Bass Pro Shops Cabela’s event. Local and traveling anglers will be vying for cash, prizes, and an opportunity to compete at the 2019 CUSA Classic which will feature a guaranteed payout of $125,000 in cash and prizes. Alabama’s Lake Logan Martin is on the Coosa River approximately 30 miles east of Birmingham, Alabama. The 17,000-acre, reservoir, built in 1965 by Alabama Power Company has 275 miles of shoreline and is well known for it’s good population of crappie. Last year’s winners, Forrest and Jacob Walker took first place in the Pro Division with a total weight of 12.92 pounds and earned $1,400.00. The team fished the Steer Creek and Riverside Landing areas in 6 feet of water. The Georgia team was pulling Jiffy Jigs in a yellow color to catch over 100 fish on tournament day. There should be plenty of crappie action for the anglers kicking off the season on Logan Martin. Teams may consist of one or two anglers, with a third member allowed if the angler is under the age of 16 years old. 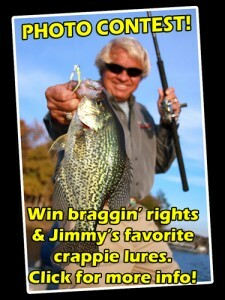 Early registration can be accomplished on the CUSA website at https://www.crappieusa.com/Tournament_Registration.cfm. Teams may also enter by calling (502) 384-5924 or by entering at the mandatory pre-tournament seminar on the night before the tournament begins. Entry fees vary by length of the tournament. All fees are posted on the website linked above. Late entries are subject to a $25.00 late fee. 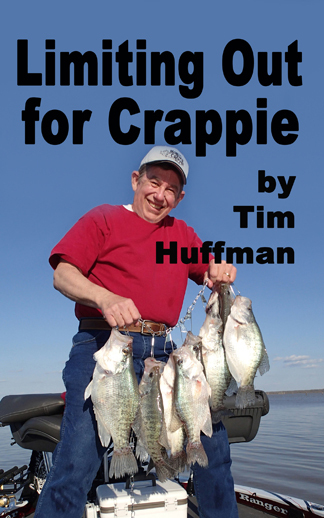 Participating anglers must be a member of the American Crappie Association (ACA). The various membership levels are outlined on the CUSA website at https://www.crappieusa.com/Membership_Information.cfm. 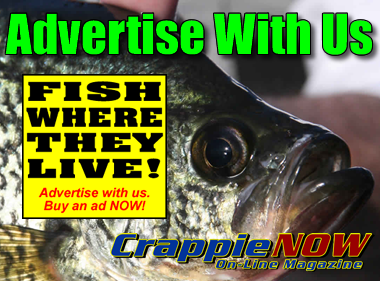 Each membership will include a subscription to the Outdoor Journal, the official publication of Crappie USA, one of the top crappie fishing publications in the nation. Late registration and a pre-tournament seminar will be held the day before the tournament at City Hall Storm Shelter, 379 Depot St., Riverside, AL 35135. Registration begins at 5:00 pm. A National Sponsor Field Test Product Drawing accompanies the seminar starting at 7:00 pm local time. This seminar is open to the public. Those not fishing the event are encouraged to attend this meeting and meet some of the region’s top crappie anglers. The tournament weigh-in will be held at Riverside Landing on Depot St., Riverside, AL beginning at 3:00 pm. This is the perfect opportunity for non-competitors to learn how the big ones are caught. Interviews of the top 5 teams are conducted following the weigh-in. Host lodging is provided by Americas Best Value Inn, 11900 US Hwy 78, Riverside, AL 35135 (205-338-3381). The number of rooms in the area may be limited. It is recommended that participants make their reservations early. A FREE Crappie Kids Fishing Rodeo will be held in conjunction with the tournament at the weigh-in site. Sign up will be Saturday morning at 8:00 am. The Kids Rodeo is from 9:00 am – 11:00 am. The Crappie USA Kids Fishing Rodeo is a chance for children of the area to get out and enjoy nature, do a little fishing and win some prizes. The event is free to all children 12 years of age and under. All participants are eligible for a chance to win one of the six, Crappie USA $1,000.00 scholarships to be awarded at the 2019 Cabela’s Crappie USA Classic. All participating children must be accompanied by an adult. Crappie USA and their anglers have contributed $350,000.00 to the “Crappie Kids” Scholarships since 1997. CUSA is very proud to be a part of the education process for the youngsters who participate in the tournaments as adult/youth teams and those who fish in the Crappie USA Kids Fishing Rodeos. 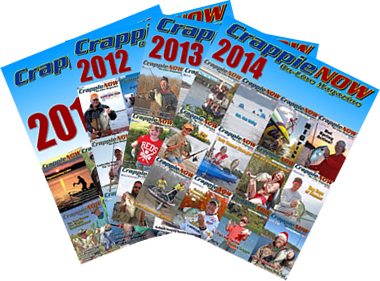 National Sponsors of Crappie USA are: Bass Pro Shops Cabelas, Ranger Boats, Mercury Marine, Mustad Hooks, Minn Kota, Humminbird, Talon, Lake Master Maps, Gamma, B’n’M Poles, Driftmaster Rod Holders, Ego Nets, Xtreme Bait Systems, Cumberland Crappie Double Seats, Charlie Brewer Slider, Crappie Now, Church Tackle Co., Jenko Fishing, Big Bite Baits, Lake Cumberland Tourism, Crappie Magnet, AWD Baits, EFX Graphics, Fin n’ Frames, Crown Trophy, and JR Madd Breading. For more information on the Classic and other CUSA events visit the website at www.crappieusa.com and Crappie USA Tournament Trail Facebook Page.